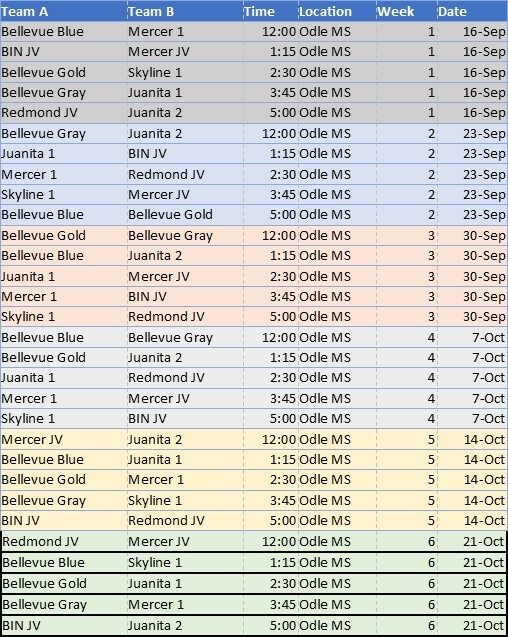 Register your high school JV or varstiy team for the 2018 Cascade Fall League! · All teams are guaranteed 6 games, full turf fields, with 25 minute running clock halves (5 minute half time. No timeouts and all games will be officiated. · In order for players to participate they must be eligible to play for your high school program for the spring of 2019. Cost per team is $1,320 ($1000 league fees and $320 WA Love) - full payment is required to reserve your team's spot. The league registration fee goes up by $200 starting August 31, 2018. Please pay with a credit card to complete your team's registration. If you are a team manager, please provide the name and contact information for your coach. If you are a coach, please provide a second contact for your team.